What is your definition of a music producer? The role of a music producer is viewed differently these days. There are tons of "beat makers" these days. All that they do is create an instrumental and sell it. The true role of a producer is to create a track with a particular artist in mind. They also have a vision of how the whole song should sound and they then direct the artist on how they want them to sing, rap ect. Some producers even either write the lyrics themselves, or have a writing team create the lyrics for the song. This does not always happen. 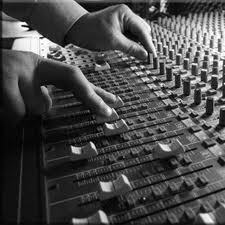 Most times the producer creates the music and the artist will write their own lyrics. The producer still will generally direct the artist of how the words should be sung and the artist helps create the producers vision. Sometimes a producer will not even play all the instruments himself. Many times they will hire studio musicians to play on a song. It all depeds on what the producers vision for the song is. So basically the role of a true music producer should be to create a song from start to finish. From creating the music to mixing the final product and directing the musicians and artists along the way to create the song he has envisioned.